“Always be joyful. Never stop praying. Be thankful in all circumstances, for this is God’s will for you who belong to Christ Jesus.” (1 Thessalonians 5:16–18, NLT) I don’t know about you but some of God’s Do’s on the surface seem impossible. Like, come on how does one be joyful when their world is crashing down around them? And it’s not only about being joyful it’s also about being thankful as well? Believe in who? The Holy Spirit, the presence of God the Father and Jesus Christ the Son in our dispensation, that’s who. 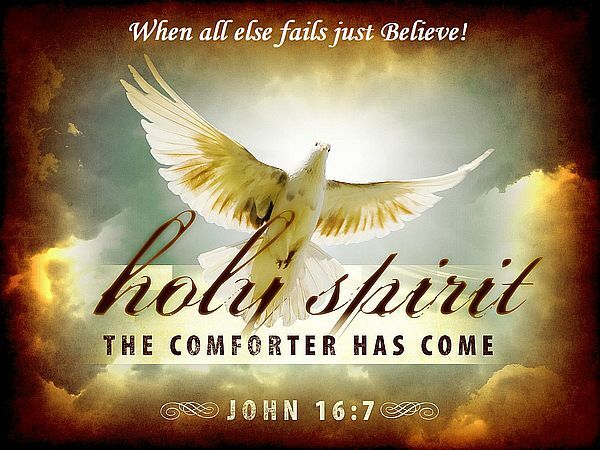 Then upon believing in the Holy Spirit next comes believing in what? The prophecies, that’s what. What prophecies? These are but a sampling of the many prophecies pertaining to holding on to what is good. Being joyful and giving thanks during our difficult times has little to do with our circumstances instead it’s about who we are becoming under the auspices of the Holy Spirit and our responsibility is to simple Believe in the only one who can turn the night to day, conflict into peace, weaknesses into strengths, and lemons into lemonade. When all else fails just Believe. Thank you for ending your blog with a blessing.